It looks like something out of a horror movie: An animated ooze stirring to life, climbing out of a bowl to, what else, destroy humanity one blobby hand at a time. But it’s not The Blob. 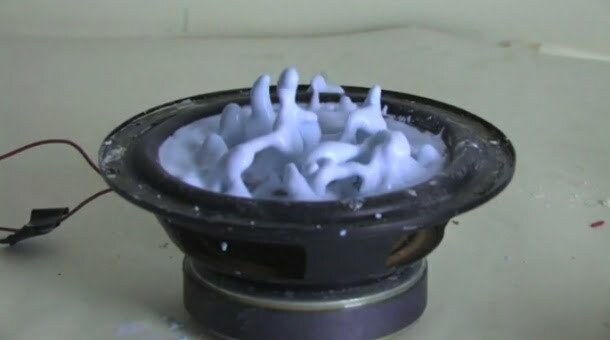 It’s a non-Newtonian fluid on a speaker.